While mobile malware often takes the spotlight, it isn’t the only mobile security concern you should focus on. Data leakage and device loss/theft are just as – if not more – important. 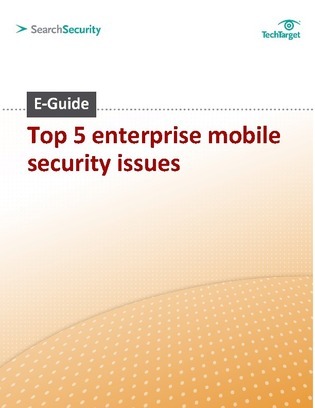 Inside this expert E-Guide, uncover the results from a recent SearchSecurity.com enterprise mobile security survey which reveals the most important mobile security issues today, as determined by 487 IT security pros and managers. View now to uncover the top five issues you should be prepared to face and how industry experts feel about the topics. Read on now to learn more!